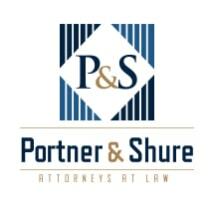 At the law firm of Portner & Shure, we are committed to achieving the best possible outcomes for our clients, whether through fighting for the compensation they are entitled to after suffering an injury, or loss, or defending them against felony or misdemeanor criminal charges. We are conveniently located with office locations throughout Maryland, Virginia and Washington, D.C.
Our attorneys handle a variety of practice areas, including motor vehicle accidents, medical malpractice, medical product and medication defects, workers' compensation and criminal defense. Due to his recoveries and the support of our team, Jonathan Portner has been named to the Multi-Million Dollar Advocates Forum, which is one of the most prestigious groups of trial lawyers in the nation. With respect to recoveries, the firm has obtained over $250 million from the major insurance carriers. We recover over two million monthly through settlement or trials. In cases we take, oue success rate is 98%. Importantly, AVVO a rating since has recongnized two of our lawyers with 10.0 ratings. Furthermore, past clients have acknowledged our excellent service and results through countless 5 Star Google and Facebook reviews. The DC Metro area is a diverse population. We understand therefore that many clients do not use English as a primary language. This can make it difficult to find the best legal help. Our law firm includes paralegals fluent in Spanish, Mandarin Chinese, Cantonese, Korean, Vietnamese and Japanese. If you have been injured in an auto accident or hurt at work or are facing damaging criminal charges, it is important to find lawyers who are recognized by both "The Top 100 Trial Lawyers" and "Best Attorneys of America" organizations. Our firm is! The first step is speaking to a top rated lawyer about your circumstances. For help with your legal issues in Maryland, Virginia or Washington D.C., call 410-995-1515, 301-854-9000, 703-916-1227 or 202-554-1449 for a free initial consultation.